17th March 2015 - Welcoming Norwich and Callington! We are delighted to announce that Norwich and Callington have been added to our Catch Up® Regional Training Centres, bringing us up to 14 centres across the UK offering Catch Up® training every term! 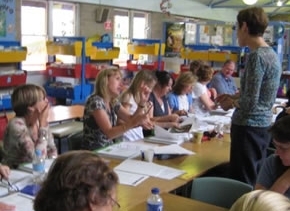 Teaching assistants and teachers can join training in Norwich 3-8 July and in Callington, Cornwall, 7-9 July. Spring and Summer Term dates are available across the 14 centres and are filling up fast, so book your places now! Find out more about our training and join a Spring or Summer term course!